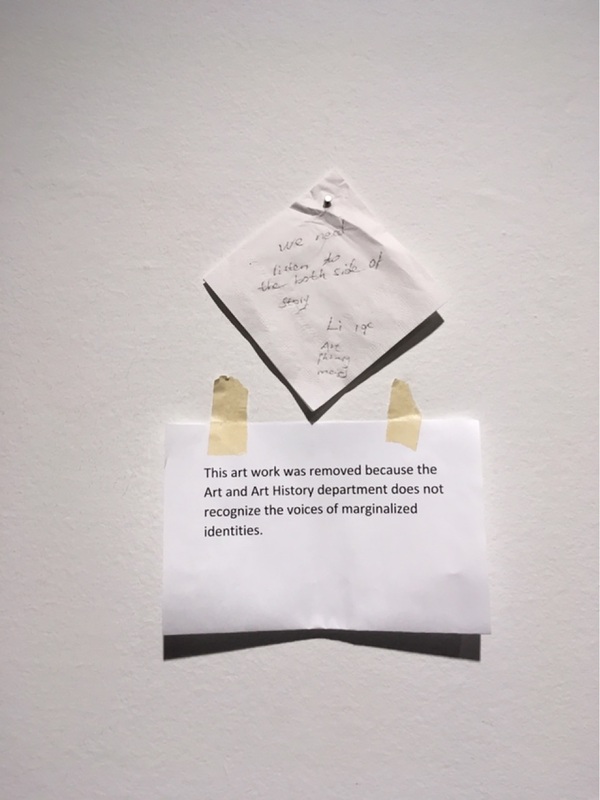 Protesting ‘Implicit Racism’ in Art Curriculum, Students Remove Their Work from Juried Exhibition | The Gettysburgian. 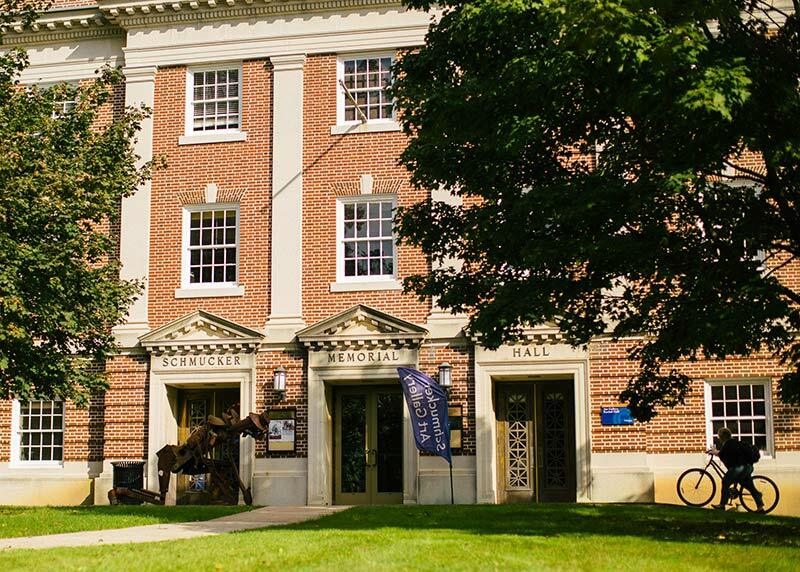 According to a letter sent to The Gettysburgian by Angelique Acevedo ’19 and Lars Healy ’20 on behalf of the protesting student artists, studio art courses at Gettysburg College are plagued by bias. The students said the drastic action was necessitated by the ineffectiveness of previous efforts to raise concerns with members of the faculty and college administration through the “sanctioned routes for complaints.” One such concern pertains to a lack of student input in hiring of tenure-track professors in the department and the existing lack of diversity among the department’s faculty. The letter goes on to argue that the lack of diversity in the department is also reflected in the eurocentric curriculum in both the Art and Art History departments. Vice Provost and Dean of Arts & Humanities Jack Ryan says attention will be paid this concern. Later in the letter, the students propose having the chance to offer formal feedback on candidate presentations that hiring committees would review and to have students on hiring committees. The letter requests student inclusion on hiring committees for faculty members. Most recently, the department hired current Visiting Assistant Professor Austin Stiegemeier, who is white, to a tenure-track assistant professor role teaching painting and drawing. That role was vacated last year by Amer Kobaslija, who resigned shortly after getting tenure. Professor of Art & Art History Mark Warwick chaired the search that hired Stiegemeier. He did not respond to a request for comment about how the search was conducted and whether he thought there was sufficient opportunity for student input. Ryan said that student input should be solicited systematically when conducting faculty searches and that, in most departments, it is. He acknowledged that he views many of the concerns the students raised regarding how the recent search was conducted as well as about a need to better diversify the curriculum as valid. “We’re working with the students and faculty to address them with expedience,” Ryan said. On Monday afternoon, students met with the Art & Art History department faculty and to discuss the situation and what needs to be done moving forward. Healy agreed that changes are important moving forward. Gauri Mangala '21 currently serves as the News Editor for the Gettysburgian, a position she has held since May of 2018. Gauri is originally from Langhorne, Pennsylvania. Aside from her work with the Gettysburgian, Gauri is the treasurer for the Owl and Nightingale Players. She hopes to study International Affairs and Anthropology during her time at Gettysburg. Maybe there were no black applicants who were qualified. Perhaps the unhappy students should consider transferring to another college and taking their art work and financial aid packages with them.